On 20 - 21 March 2015, the biggest ever Chiang Mai Model United Nations conference (CMMUN) was hosted at Prem Tinsulanonda International School in Mae Rim, Chiang Mai. The theme for the conference was ‘Human Rights: Freedom from fear’ as issues related to Human Rights are extensive and widespread yet relevant and accessible to our students. Students debated in one of five Model United Nations Committee’s; the Economic and Social council, the Environment program, the Human Rights council, the Disarmament commission and the Security Council. They debated and tried to resolve a variety of issues ranging from child marriage, to the recruitment of young people by terrorist groups, the accessibility of secure food and water and sustainable production and consumption patterns. The 56th annual International Mathematics Olympiad will be held in Chiang Mai from July 4-16, 2015 at Chiang Mai University. The event is hosted by The Institute for the Promotion of Teaching Science and Technology (IPST) aChiang Mai University, The Mathematical Association of Thailand under the Patronage of His Majesty the King, The Promotion of Academic Olympiad and Development of Science Education Foundation under the Patronage of Her Royal Highness Princess Galyani Vadhana Krom Luang Naradhiwas Rajanagarindra (POSN). This is the first time Chiang Mai has hosted this international event that is the World Championship Mathematics Competition for High School students. The first Olympiad was held in Romania in 1959. Students from over 100 countries will be participating in the event and will coming from five different continents. Chiang Mai University representatives believe the event will help boost the profile of Chiang Mai internationally as well as motivate young Thai students in mathematics. The event will be honoring HRH Princess Maha Chakri Sirindhorn on the occasion of her 60th Birthday on April 2, 2015. One hundred student leaders from eight higher education institutions joined a forum held at the U.S. Consulate General on February 27, 2015. 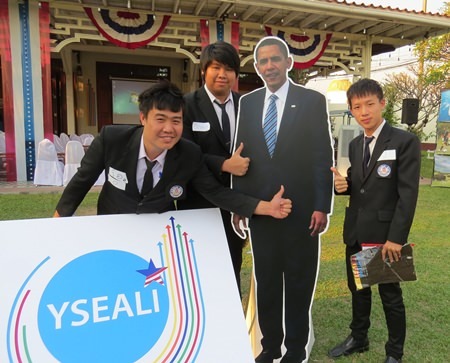 The U.S. Consulate General in Chiang Mai hosted the Young Southeast Asian Leaders Initiative (YSEALI) Open House: Chiang Mai Forum on Friday, February 27, 2015 with 100 student leaders from eight educational institutions including Chiang Mai University, Payap University, Mae Jo University, other higher education institutes in Chiang Mai. U.S. Consul General Michael Heath welcomed the students to the forum and encouraged them on their endeavors. 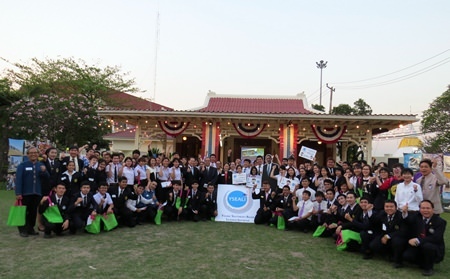 The event started with students playing a game, interviewing people and asking questions before stopping for a group photo with U.S. Consul General Michael Heath and sponsor Charonchai Salyapong of Pepsico. 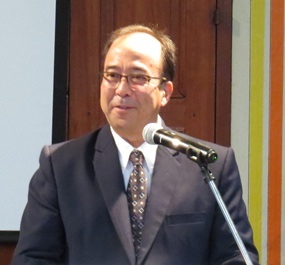 Charonchai said that as a former law professor he was very excited about this project and was looking forward to joining in. He told the Chiang Mai Mail that education was his first love having taught law for over 20 years and added that these students were the future and so he wanted to make sure they received all the encouragement possible. The group then sat down for a welcome speech by Consul General Heath followed by a talk on the YSEALI before Charonchai, who is the Corporate Affairs Director for Pepsico Thailand spoke about the ideal graduate for corporate expectations. The Young Southeast Asia Leaders Initiative was launched by President Barack Obama in 2013 to strengthen leadership development and networking in ASEAN. Students enjoyed taking their photo with the U.S. President.